Indoor Drive-In Movie Night is an event for the whole family that will be held at Birchwood Recreation Center, 435 W. Illinois Avenue, in Palatine on Friday, March 3 from 6:00pm to 9:00pm. 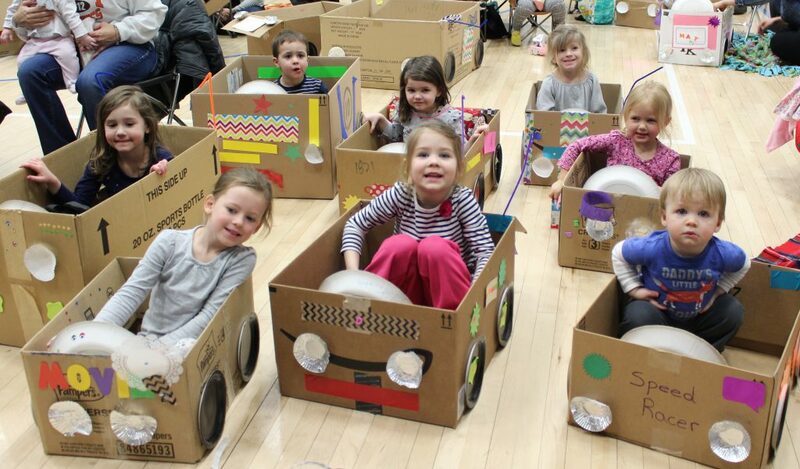 Each child supplies their own cardboard box to create a car with their family that they can sit in to enjoy the feature presentation, Finding Dory. Decorations for the cars will be provided by the park district, or families may bring their own. Paint and permanent markers are not allowed. Car designing will begin at 6:00pm, followed by a screening of “Finding Dory” at 7:00pm. All children must be accompanied by an adult. Adults are encouraged to bring blankets or chairs to view the movie. Concessions including pizza, popcorn, candy, water, and pop will be available for purchase. Outside food is not allowed. The fee is $5.00 per child and $1.00 per adult. Space is limited and pre-registration is required. Registration may be completed in person at Community Center, Birchwood Recreation Center, Falcon Park Recreation Center, or online. Registration deadline is Wednesday, March 1 at 7:00pm. Each child will receive a goody bag at the event. Indoor Drive-In Movie Night is supported by the following gold-level sponsors, AMITA Health, Berkshire Hathaway HomeServices-Sue Gould, Chick-fil-A Kildeer, and Palatine Bank & Trust.